Are you annoyed with DMG files and disk images littering your system? Can’t ever remember to delete the DMG file from your downloads folder or desktop after ejecting a disk image? DMG Cleaner can help! 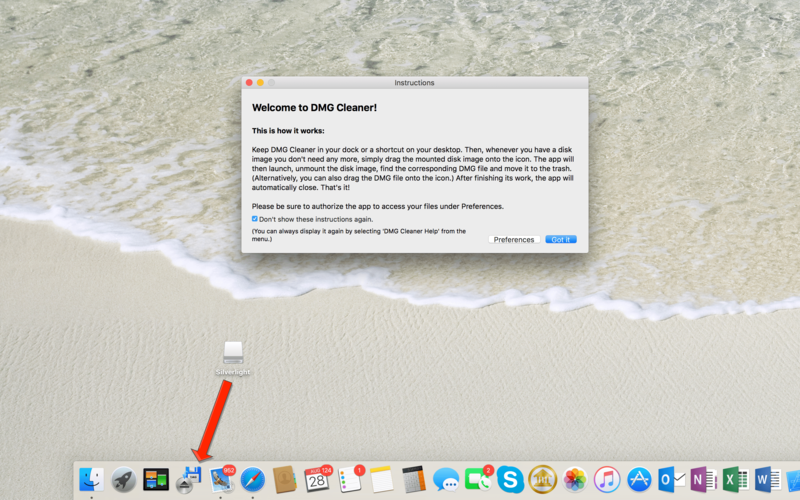 Keep the DMG Cleaner program icon in your dock or on your desktop. Then, whenever you have a disk image you don’t need any more, simply drag the mounted disk image onto the icon. The app will then launch, unmount the disk image, find the corresponding DMG file and move it to the trash. (Alternatively, you can also drag the DMG file onto the icon.) After finishing its work, the app will automatically close. That’s it!